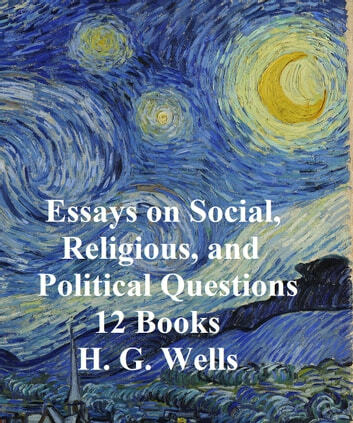 This collection includes the complete text of 11 H.G. 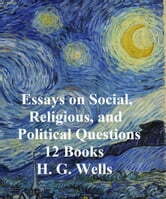 Wells science fiction and fantasy novels: The First Men in the Moon, The Food of the Gods, In the Days of the Comet, The Invisible Man, The Island of Dr. Moreau, The Time Machine, The War in the Air, The War of the Worlds, When the Sleeper Wakes, The Wonderful Visit, and The World Set Free. According to Wikipedia: "Herbert George Wells (21 September 1866 13 August 1946) was an English author, now best known for his work in the science fiction genre. He was also a prolific writer in many other genres, including contemporary novels, history, politics and social commentary, even writing text books. Together with Jules Verne, Wells has been referred to as "The Father of Science Fiction".